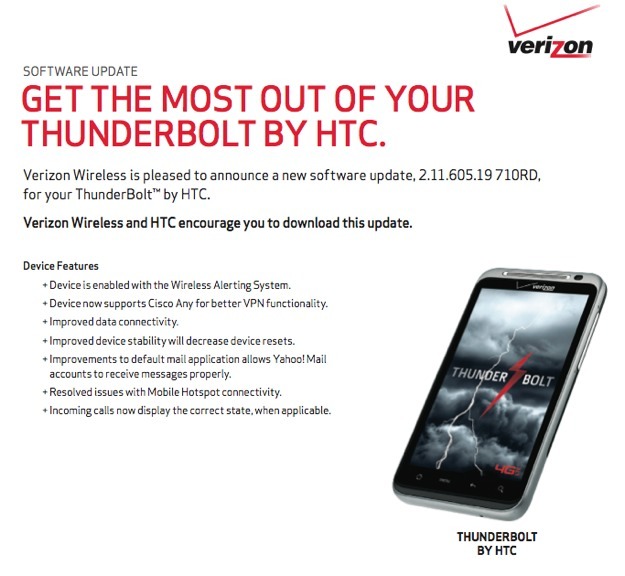 The emails and tweets are flying in with HTC Thunderbolt owners saying that their devices are starting to see the 2.11.605.19 update prompt. The update itself isn’t major and appears to be focused on connectivity issues, plus has better VPN functionality and better handling of Yahoo Mail. Go get it, Bolt owners.